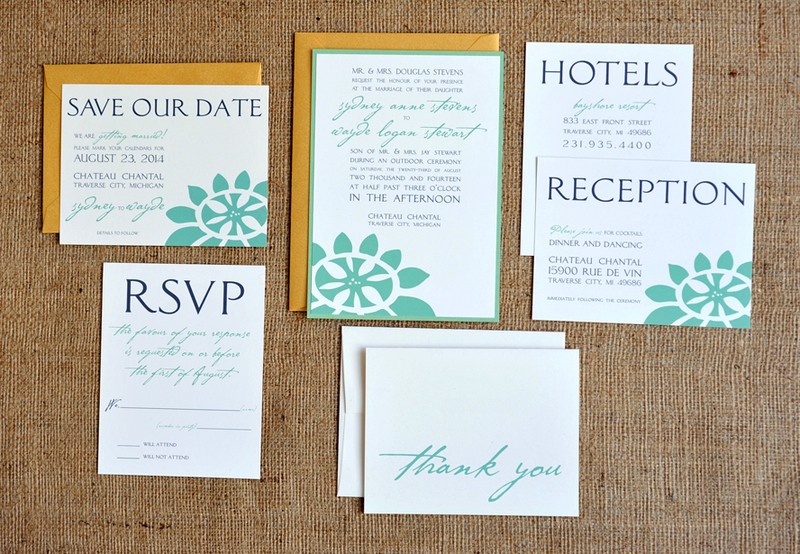 We’ve been busy, busy with weddings this season, which pushed back catalog prep for NSS. However, things are wrapping up (insert rimshot) with our new 2013 products and I’m excited to share a sneak peek! We’ve expanded our catalog to not only include the wedding album, cards and calendars; but we will also have giftwrap, jotters and notepads (oh, and more cards and calendars)! 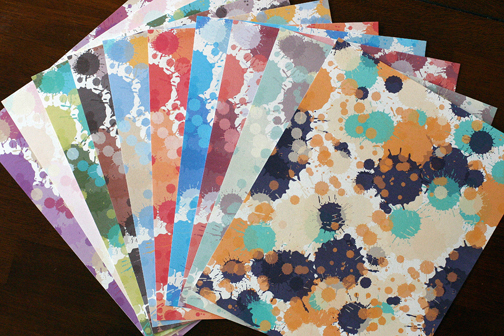 Here’s one of our Gift Wrap lines — Paint Splatter, which comes in 10 color palettes. Super bright and will look great when all displayed together! And my favorite new product, little briefcase jotters. 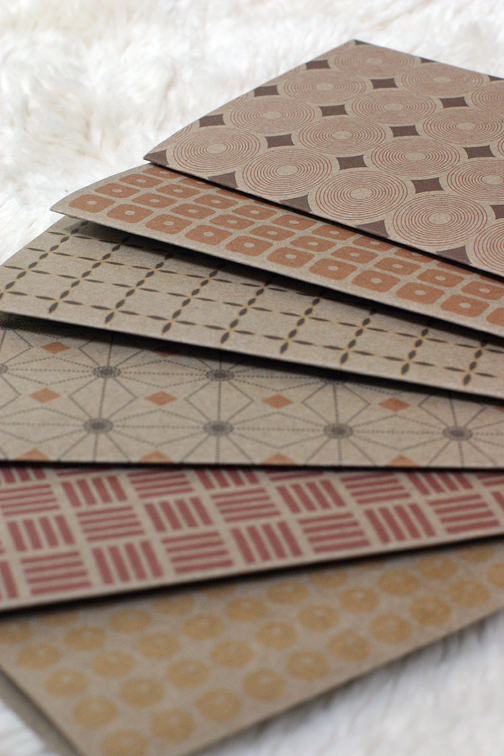 The patterns for these jotters have been in my head for a while now. our colorful family and a world of natural beauty. We will be using the patterns in other fun products to come. We hope to see you and meet you at National Stationery Show this year! Look us up at Booth #1677 to see these new items in person. Joel makes me think of home. As in where I grew up — on a farm in Indiana. It reminds me of meadows, fields, hot sun and a playful youth. 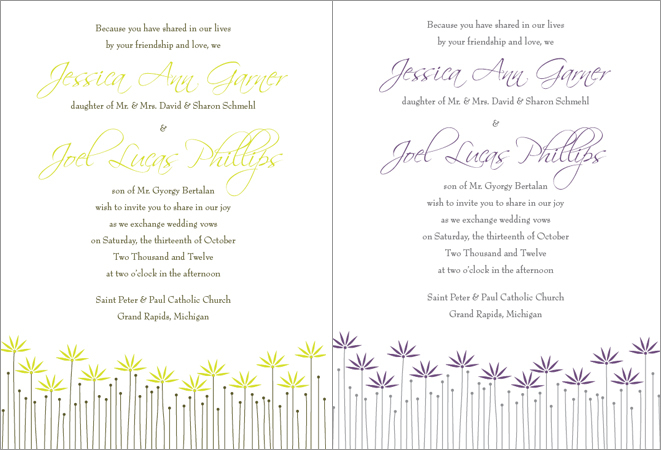 I used a pastel palette here, similar to the colors you’ll see next week with the Marcus suite. Because we’re using five colors here, I think pastels or a mix of tints from the same color work best. If using more bold colors, we can switch to using less colors like below. sandals and lemonade, giggling flower girls and clear blue skies. 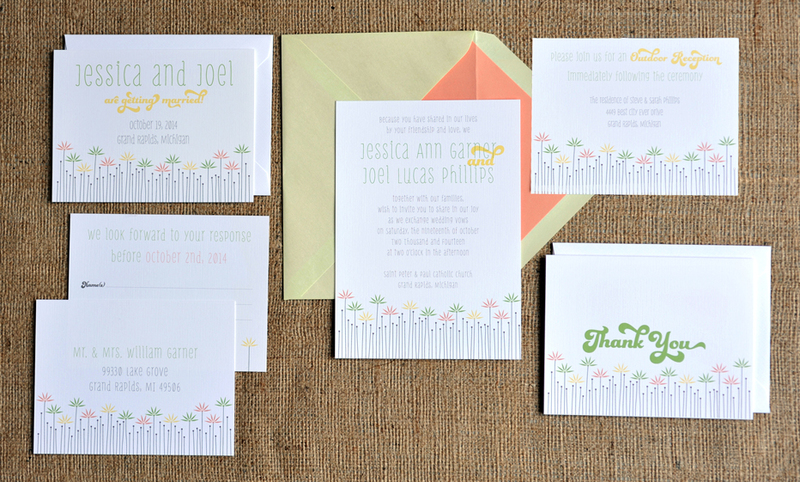 on our Joel Outdoor Wedding Pinterest Board! One of my favorite long-time suites, but with an updated 2013 color twist. Bring on the Mint trend; pastels and golds are hot, hot this year! 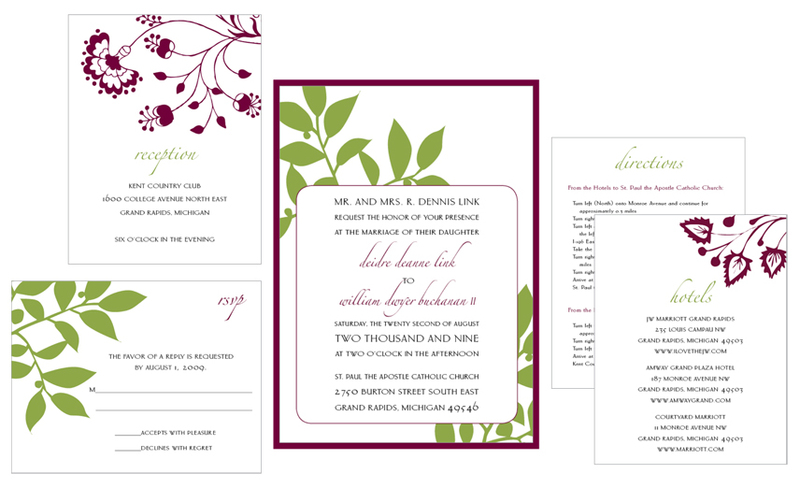 The use of vintage-inspired designs from fabric, wallpaper, vintage stationery, etc., can go with many wedding styles. It’s a perfect fit for outdoor storybook weddings, but glitzed up, a vintage design can be an unexpectedly worthy of a more formal affair. Check out our Vintage Floral and Mint/Gold Pinterest board for more inspiration!